Giving back to those who serve is central to our way of life. 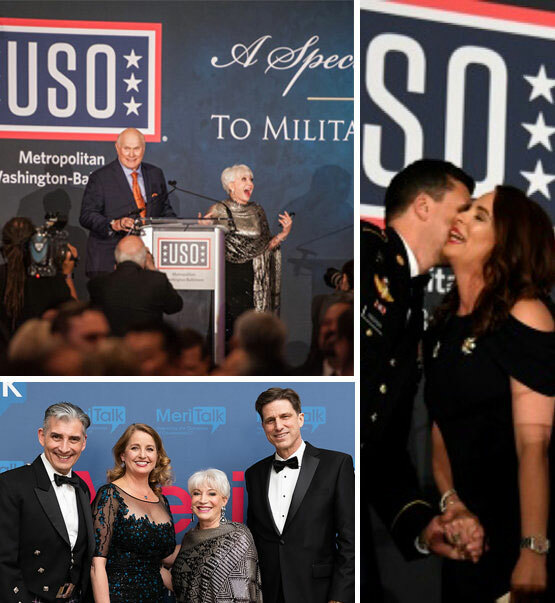 Our founder serves as the vice chair of the USO-Metro, USO's largest global chapter that covers the Pentagon, Walter Reed, and our military's epicenter. He also serves as chairman for the Annual Awards Dinner, which hosts our heroes, the Chairman of the Joint Chiefs of Staff, military brass, and all the Federal CIOs. Military leaders and the vice presidents for all the major tech brands serve on the board of the USO-Metro. On top of that, we host an annual CIO Cricket Match at Bellapais-on-the-Potomac, benefiting the USO-Metro. What's cricket, you ask? It's a lot like American baseball, but a lot more fun to watch. Each year gets better and better.